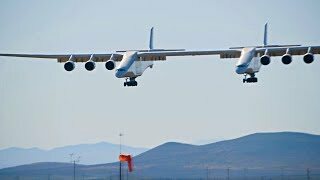 The first flight of the huge Stratolaunch aircraft at Mojave, California. Hosted by Texoma Aero club, located at Hangar E2 at KGYI. Cookout and celebration of Sherman Chapter 323 turning 50 years old. Leadership from EAA Oshkosh will be on hand! Please flyout or drive and visit us! Hamburgers and Hotdogs will be served!! Should be a great time!! 10th Annual EAA Chapter 5 Pancake Breakfast Fly-In and Drive-In at Classic Jet Center at Lost Nation Airport in Willoughby Ohio. Costs for breakfast are: $8 Adults, $4 Children 3-12. Airplane rides and activities for kids aged 8 to 17 through the EAA's Young Eagles program. Parent or guardian permission required. All you can eat pancakes by the Kane Area Girl Scouts. Fuel discount. FREE gift for first 25 visiting aircraft. Breakfast served 8am to 11am. Landing fees waived. If it's IFR how do you obtain your clearance from a pilot controlled airport? There are really 3 main ways if you can't reach approach on the ground. In this video Jason shares with you his go to method as it works across the country. "It's quite a while since Richard Pappy's Grill left the airport. The resturaunt has changed hands a couple of times over the last couple of years. It is now the Flightline Cafe and seems to be well supported by locals and pilots flying in." - Submitted by Allan Durham. Got Comments? - Got Photos? Come join EAA Chapter 578 for our annual Fly-In and pancake breakfast. Classic vehicles, airplanes, RC truck course, kiddie train, dunk tank, airplane and helicopter rides! Fun for the family! All you can eat pancakes plus sausage,OJ coffee only $6. PIC eats free for doing a low pass prior to landing. This is our last of the season breakfast so do not miss it. Fly, or drive to the annual all-you-can-eat- breakfast fly-in at Ojibwa Airpark in beautiful Central Michigan. Growing in size each year. If you attend one Michigan fly-in this year this is the one you won't want to miss. THIS IS THE BREAKFAST YOU'VE HEARD ABOUT! D11 is a well maintained 3600' by 125' grass strip located approximately 13nm northwest 302 Radial of Mount Pleasant. Overnight camping on the field is welcome. Join us for our 5th annual fly-In, cruise-In, and business expo celebrating the Nature Coast. 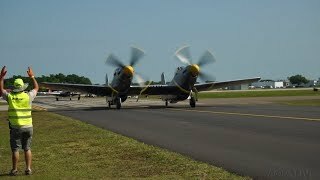 Our two 5000' runways welcome all types of aircraft for a relaxing day at a hometown event. Show off your plane in the air and on the ground while enjoying numerous activities. Look for the car you've dreamed about at the cruise-in that draws all types of classic, custom and special interest vehicles. Explore a wide variety of business vendors including a dozen types of food to leave a great taste about our event. Opening ceremonies at 10am start a family oriented day that should have something for every one in yours. Take two of the best-loved fighters in history and make a literal mashup. Wait a few decades, restore, and repeat for this Twin Mustang treat. 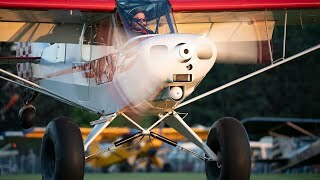 A flight to Sun N Fun, one of the largest aviation events in the world. Join us for our 3rd Annual Timmerman Airport Flour Drop contest! FREE to participate, plus all attendees receive a FREE t-shirt and FREE lunch! The pilot/passenger team whose sack of flour lands closest to the target wins! Grand Prize is a $200 gift card. All participants must attend the mandatory safety briefing at 10:00AM. If VFR conditions are not present, event will be rescheduled to June 15. Sponsored by Timmerman Airport and Spring City Aviation. Join us from noon to 3 p.m. as we spend the afternoon learning all about the science of rockets! We will team up with the Great Lakes Science Center and NASA's Glenn Research Center for an afternoon of fun learning about the science of rockets. Children will hear about the history of rockets, witness the launching of various rockets, and set off film canister rockets weather permitting. Admission is $1 non-refundable a child via cash or check. Payments made online via credit card or PayPal will be subject to a service fee. Space is limited and the last two years have sold out. Registration is required. Children in attendance will receive a goodie bag to take home at the end of the event. Please note no physical tickets will be mailed out. Upon payment, you will be added to the registration list and can simply check in the day of the event. We strongly encourage attendees to arrive by 11:45 a.m. as the event will begin promptly at noon. Tickets This event is sponsored by the Bede Family Foundation. At 250 Rudy Chase Dr. Glenville, NY. The Empire State Aerosciences Museum will be open for Spring Break from Tuesday, April 23, Friday, April 26, from 10 am - 4 pm with exciting special programming. 1 Guided tours and rides in the very unique Simulated Reality Vehicle will be available. 2 Hop aboard some of the Museum's historic civilian and military aircraft. 3 Each day from 11 am - 2 pm, our flight simulators will be available for use, which include simulated take-off, in flight maneuvering and landing. 4 On Wednesday, April 24 at 11 am, a retired Naval Pilot will demonstrate flight gear and discuss aircraft carrier flight operations. 5 Visit our newly opened Exhibit on local heroes from WWII. Come have an exciting time at ESAM during the break! We will be open for regular hours on Saturday Sunday from 10 am - 4 pm. For more information, call 518 377-2191 ext 10.